Austenitic stainless steel plays an important role in modern industry. Its production and usage account for about 70% of the total amount of stainless steel. 316 austenitic stainless steel can be used as a substitute material for nickel-based alloy and titanium. It is widely used in petrochemical, fertilizer, chemistry, papermaking, medicine, atomic energy and other industrial equipment. Since 1970s, with the rapid development of atomization technology for prealloy powder preparation, it is possible to prepare high performance sintered stainless steel. Stainless steel powder metallurgy products not only overcome the traditional smelting technology to produce products of high cost, low utilization rate of metal materials, low accuracy of product size and other shortcomings, but also to meet the shape of particularly harsh stainless steel parts requirements, and has good physical and mechanical properties, so its application is expanding. 316L austenitic stainless steel powder metallurgy sintered body was prepared by vacuum sintering method. With the increase of sintering temperature, the grain structure of sintered body became coarser and the porosity and size decreased. Sintered body of relative density, tensile strength, yield strength and elongation are improved, but when the temperature rises to 1340 ℃ after increase is not obvious, and the trend of slow down; The best sintering temperature is 1340 ℃, the density of sintered body is 7.86 cm3, tensile strength of 754 mpa. The fracture forms of sintered bodies belong to ductile fracture. At lower sintering temperature, dimples are shallow and have more residual particles and irregularity. 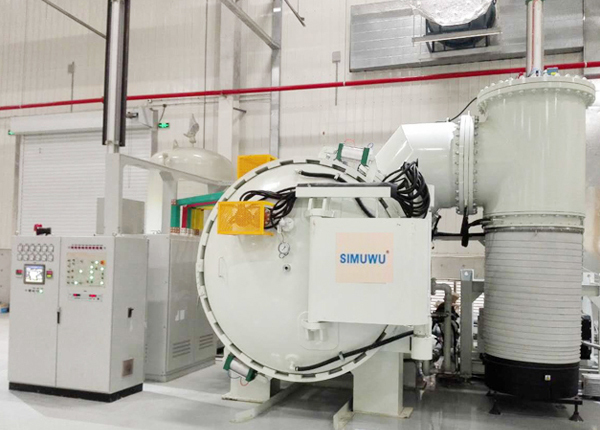 When sintering temperature is higher, dimples are deeper and residual particles are less.